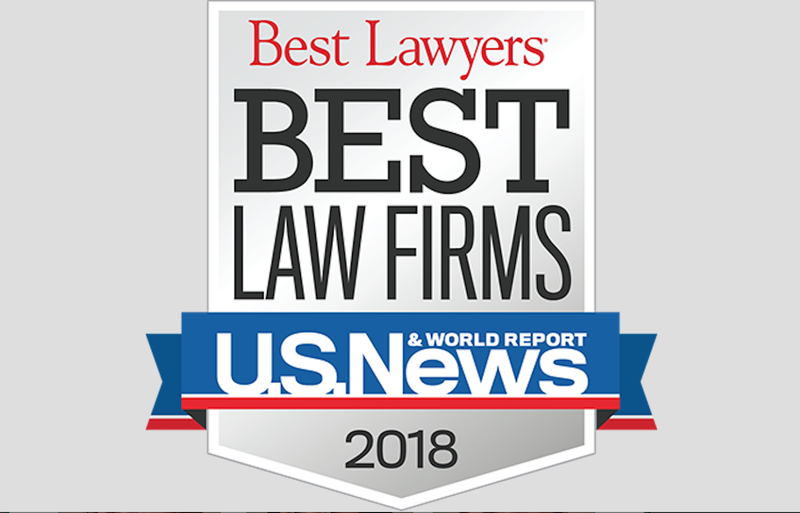 BURLINGTON, VT - Maley and Maley, PLLC has received two “Best Law Firms” rankings from U.S. News & World Report and Best Lawyers® for 2018. Specifically, the Burlington firm received metropolitan Tier 1 rankings for Burlington, VT, in the areas of medical malpractice law and personal injury litigation. Attorneys John Maley and Chris Maley are Burlington natives who represent individuals and families who have been injured throughout Vermont. The father-and-son team founded Maley and Maley, PLLC in 2013. Prior to forming their new firm, the Maleys worked together in Burlington for 12 years at the former personal injury and medical malpractice law firm Sylvester & Maley, Inc. Both are listed annually in The Best Lawyers in America in both areas of medical malpractice and personal injury law. 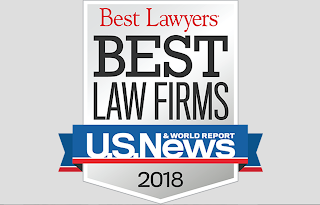 The Best Law Firms rankings are based on a methodology that includes a combination of client feedback, information provided on the submission, a survey of leading lawyers, and Best Lawyers® peer review. There is no fee associated with receiving a ranking. Individuals who have been injured due to another's negligence are invited to contact the firm to request a free case evaluation at www.maleyandmaley.com or by calling (802) 489-5258. 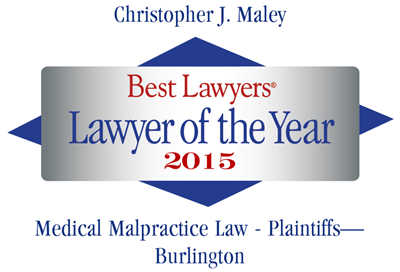 Christopher Maley has been selected by Best Lawyers® as the 2015 Lawyer of the Year for Medical Malpractice - Plaintiffs - Burlington, Vermont. Chris is a founding member of Maley and Maley PLLC, and has been listed annually in the publication The Best Lawyers in America® since 2007 in the categories of Medical Malpractice Law and Personal Injury Litigation. According to Best Lawyers®, only a single lawyer in each practice area and designated metropolitan area is honored as the “Lawyer of the Year.” They are selected based on particularly impressive voting averages received during the peer-review assessments. The Lawyer of the Year designation reflects the high level of respect a lawyer has earned among other leading lawyers in the same communities and the same practice areas for their abilities, their professionalism, and their integrity. Chris' partner, John Maley, was selected in 2014 as Lawyer of the Year for Medical Malpractice Law. As of Monday, October 1, 2014, use of any handheld portable electronic device while driving in Vermont is illegal. The law (23 V.S.A. § 1095b) carries fines of up to $200 with points assessed if the violation occurs in a work zone. Use of a mobile device is permitted if an approved "hands-free" technology, such as Bluetooth, is properly installed — however, junior operators are strictly forbidden to use cell phones of any kind while driving. The ban covers all portable electronic devices, including, music players, laptop computers, and cellular telephones. Hands-free means the portable electronic device is not in the hands of the driver. Devices can be used by employing an internal feature such as Bluetooth or a wired headset with a single-button control, or a speakerphone. The device itself can be used for single button hands-free operation, as long as the device is in a cradle or otherwise securely mounted in the vehicle. The ban is lifted when the driver needs to communicate with law enforcement or emergency service personnel in an emergency. For more information on which hands-free device is right for you, download this guide from the Vermont Agency of Transportation. Violators shall be subject to a fine of not less than $100.00 and not more than $200.00 for a first violation, and of not less than $250.00 and not more than $500.00 for a second or subsequent violation within any two-year period. If the violation occurs within a properly designated work zone in which construction, maintenance, or utility personnel are present, two points will be assessed against the violators’ license for a first conviction and five points assessed on subsequent convictions. For more information and answers to frequently asked questions, see this page from the Vermont Highway Safety Alliance: Vermont Cell Phone Ban FAQs, and the DMV Enforcement Bulletin. Also, listen to this great discussion on VPR: Hands Off: The Logistics Of The Hand-Held Cell Phone Ban. Chris Maley was featured in the Burlington Free Press article on Sunday, September 21, 2014, "In 10 Days Calling While Driving Is Banned." The article, by Nancy Remsen, provides an overview of the new Vermont law that makes it illegal to use hand-held electronic devices while driving. Chris, who has represented victims of automobile accidents caused by distracted drivers, has helped to raise awareness of distracted driving, and testified before both the Vermont House and Senate in support of the bill that is now law that goes into effect on October 1, 2013.
him to keep both hands on the wheel while driving. "Distracted driving is a choice. Texting while driving is a choice to put your needs over the safety of others. That is a selfish choice." Chris, who has spoken at several high school forums on distracted driving, admits that it has been hard to suggest that teenagers put down their cell phones when they see their parents using them while driving. The new law applies to all drivers and will help to clarify the message and simplify enforcement. The article states, "Continued public education remains the key to change a culture that allows people to believe it is acceptable to text or talk on the phone or engage in other distracting activities while behind the wheel." 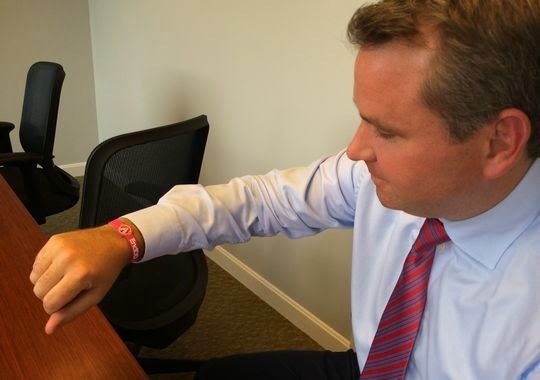 Phones down, heads up, Vermont! U.S. Senator Bernie Sanders (I-VT) testified before a U.S. Senate Panel on the alarming number of deaths caused by medical mistakes in this country. Preventable medical errors in hospitals is the third leading cause of death in the United States according to recent research. Only heart disease and cancer kill more Americans. “Medical harm is a major cause of suffering, disability, and death — as well as a huge financial cost to our nation,” Sanders said at the outset of the hearing by the Senate Subcommittee on Primary Health and Aging. “This is a problem that has not received anywhere near the attention that it deserves and today I hope that we can focus a spotlight on this matter of such grave consequence,” added Sanders, the panel’s chairman. Watch highlights of the hearing below. View the full subcommitte hearing here. That's our Chris Maley looking on as Governor Shumlin signs ban on hand-held devices for drivers. Chris worked hard to help educate Vermonters and pass the bill. See full coverage here of Governor Shumlin signing the bill as reported by WCAX - Channel 3. The Vermont House and Senate have passed a bill to ban the use of hand-held devices and cell phones while driving and it is expected to be signed by the governor. The new law will go into effect October 1, 2014. The above news report from ABC22 summarizes this important news. Attorney Chris Maley has worked to raise awareness of the dangers of distracted driving. 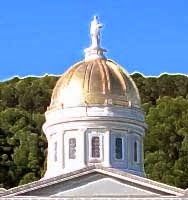 Prior to the passage of the new law, Chris testified in support of it before committees in the Vermont house and senate. High school students at Colchester High School attended an assembly last week that featured a former Colchester student who told a chilling first-hand account of the real dangers of distracted driving. The discussion was led by Chittenden County State's Attorney T.J. Donovan and personal injury lawyer Chris Maley, of Burlington's Maley and Maley, and was covered by the Burlington Free Press. Colchester students join those from Burlington and other high schools who have also attended presentations motivated by Vermont’s Association for Justice and inspired by Joel Feldman of EndDD.org. Feldman has presented to more than 193,000 students and drivers in 41 states as part of the campaign. Persons interested in offering the presentation to their school or group, should contact Chris Maley. The Vermont House of Representatives passed a bill (H. 62) on February 13 that would prohibit the use of hand-held cell phones while driving. Vermont's trial lawyer group, the Vermont Association of Justice, supports the bill which now goes before the Senate. Chris Maley, president of the VTAJ was among those who testified to ban cellphone use while driving. Maley, who has presented to area school groups on the dangers of distracted driving, shared how teenagers model the bad habits of adults who answer emails and text while driving. "Under the House bill, drivers would no longer be able to raise a cell phone to their ear and carry on a conversation, or scroll through their personal music players to change a song. Drivers would be able to wear a headset or use a wireless Bluetooth feature in the vehicle to carry on a conversation or to change to a different tune, but the days of physically holding the device would be no more if the House bill becomes law." Burlington, Vermont (February 20, 2014) — The Best Lawyers in America® recently named local attorney John P. Maley as “Lawyer of the Year” selected "Burlington Medical Malpractice Plaintiff’s Lawyer of the Year for 2014." Vermont trial lawyer John Maley is a native of Burlington, Vermont, and has been in private practice since 1968 representing individuals and families of those injured or killed as a result of medical malpractice, defective products, motor vehicle and recreational accidents. John has been selected annually by his peers for inclusion in The Best Lawyers in America® since 1995 in the areas of Personal Injury Litigation (plaintiffs) and Medical Malpractice Law (plaintiffs). Best Lawyers® compiles its list of outstanding attorneys by conducting extensive peer-review surveys in which thousands of leading lawyers confidentially evaluate their professional peers. The current edition of The Best Lawyers in America is based on more than 3.1 million detailed evaluations of lawyers by other lawyers. The lawyers being honored as “Lawyers of the Year” have received particularly high ratings in Best Lawyers surveys by earning a high level of respect among their peers for their abilities, professionalism, and integrity. The Burlington Free Press announced the plans of U.S. District Court Judge William K. Sessions III to move from active duty to senior status in June. Sessions has indicated he will remain active as a senior judge. Vermont State's Attorney T.J. Donovan and trial lawyer Chris Maley presented at Burlington High School's Distracted Driving Assembly on January 3, 2014 reminding students of the importance of not texting while driving, and raising awareness of other forms of distractions. The presentation is part of an initiative of the Vermont Association of Justice (VTAJ) in conjunction with EndDD.org. Persons interested in offering the presentation to their school or group, should contact Chris Maley, president of the VTAJ. Chittenden County Vermont’s Prosecutor TJ Donovan, Chris Maley, president of Vermont’s Association for Justice, and Joel Feldman of EndDD.org, teamed up to speak with about 1,000 Vermont teens over 2 days at Essex High School and South Burlington High School about distracted driving as part of a campaign to bring distracted driving presentations to teens across Vermont. The Burlington Free Press reported on the event, including comments from Chris Maley who said "Vermont lawyers have seen first hand the carnage caused by needless motor vehicle crashes and working to try to make victims and their families whole. Maley said his 250-plus member association is committed to giving hundreds of hours each year to bring the safety message to young drivers and other groups." See the full article at: The power to save a life. 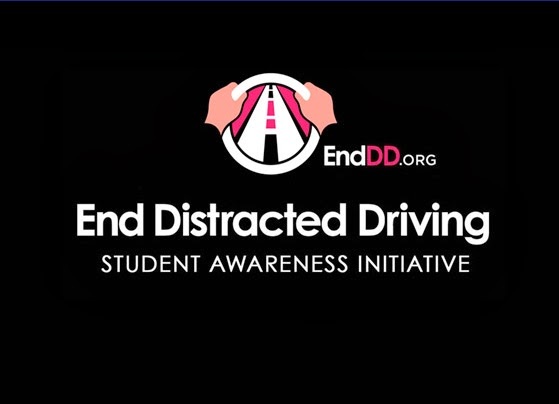 About a dozen VTAJ members underwent a two-hour training session with Joel Feldman on how to use his presentation to help educate teens and adults on the real danger of distracted driving. Feldman has presented to groups in about 20 states and 125,000 people in the last 18 months as part of the campaign. For more information or to bring the EndDD.org's presentations to your group, please see the website at www.endDD.org. or contact the Vermont Association for Justice. Chris Maley was part of a 3-attorney panel discussion following the screening of the movie Hot Coffee, at the Vermont Law School, October 11. The 90-minute award-winning documentary film unveils the public relations campaign surrounding the famous McDonald's lawsuit involving a woman who was scalded by a coffee spill. John P. Maley and Christopher J. Maley, have formed a new law firm, Maley and Maley, PPLC, at 30 Main Street, Suite 450 in Burlington, Vermont. The new firm is focused exclusively on representing injured victims and their families. Both attorneys are Burlington natives and have distinguished careers as Vermont trial attorneys. Both have received the highest (AV Preeminent®) peer-review rating from Martindale Hubbell, and both are listed in the current edition of The Best Lawyers in America® for personal injury litigation and medical malpractice law. In addition, John Maley has been selected by Best Lawyers® as the 2014 “Lawyer of the Year” for Medical Malpractice Law — Plaintiffs, Burlington. Christopher Maley is president of the Vermont Association for Justice (a 200-member organization formerly called the Vermont Trial Lawyers Association), serves as chair of its legislative committee, and is the 2012 recipient of the association's Special Service Award. Prior to founding the firm, Chris and John were partners at Sylvester & Maley, Inc. For more information, please see the firm’s website at www.maleyandmaley.com. Vermont trial attorney Christopher J. Maley was elected president of the Vermont Association for Justice at its annual convention on May 17. Maley will serve as the organization’s president for the 2013-2014 term. At last year’s convention Maley was presented with the Special Service Award "in appreciation for his hard work, dedication, and deep commitment as he worked tirelessly to fights significant challenges to the Vermont Civil Justice System during the 2011 and 2012 legislative sessions.” The Vermont Association of Justice was formerly known as the Vermont Trial Lawyers Association. Vermont personal injury plaintiffs attorneys. Please see our main website at www.maleyandmaley.com. Website disclaimer. Attorney Advertising. © 2015 Maley and Maley, PLLC. 30 Main Street, Suite 450, Burlington, VT 05402. Simple theme. Powered by Blogger.